The home of more presidents than any other state, Virginia’s history is long and rich – and residents are continuing to grow the state by attracting top jobs and high-quality education while celebrating the past. Whether you’re looking for metropolitan excitement or country leisure, Virginia is a top place to live. Here are eight reasons to consider relocating. No matter where you live in Virginia, you can have the best of both worlds. Major cities such as Richmond, Virginia Beach and Charlottesville offer thriving art scenes, public transportation, diverse culinary offerings and other city amenities. Right outside city limits, you can find the Atlantic Ocean, the Appalachian Mountains or even just wide open country. As one of the original 13 colonies, Virginia’s history is long and rich. Odes to the past can be found all over the state with George Washington’s home Mount Vernon, the Arlington National Cemetery and Historic Williamsburg – just to name a few. Want even more history? Northern Virginia borders Washington D.C., so there’s even more ways to get in touch with America’s roots. Looking for new job opportunities? Virginia’s job growth lends itself the ideal environment for starting or switching your career easily, with unemployment below the national average at 3.8 percent. Leading job sectors in the state include farming, military, service and business. In fact, Northern Virginia is home to six of the 20 highest income counties in the United States. A top hospital is never far away in Virginia, with 89 hospitals throughout the state. Inova Fairfax Hospital is the largest hospital in the Washington D.C. metropolitan area, and the University of Virginia Medical Center is highly ranked in endocrinology. Virginia also has a ratio of 127 primary care physicians per 10,000 residents, which is the 16th highest ratio nationally. Virginia’s school system consistently ranks in the top 10 on the National Assessment of Educational Progress for school quality and student performance. In fact, Virginia has a high school graduation rate of 85 percent. And after high school, students have 176 colleges and universities in the state to choose from – many of which are nationally ranked. The Old Dominion is also rich in arts and culture, with publicly funded museums across the state, as well as theaters found in cities and suburbs. The Wolf Trap National Park for the Performing Arts in Vienna is the only national park designed for us as a performing arts center. The Virginia Opera and the Virginia Symphony Orchestra lead the state’s fine arts, and with Washington D.C. to the north, the Smithsonian museum system is also in reach. Looking for family fun? Head to one of the state’s seasonal festivals for some quirky fun and to explore your new home. At the end of July, don’t miss the annual Pony Swim & Auction, where wild Chincoteague ponies take a swim in the bay. In September, Bay Days celebrates Chesapeake Bay’s 400 year history, featuring live music and historical events, or there’s the Shenandoah Apple Blossom Festival in May that hosts parades and bluegrass concerts. 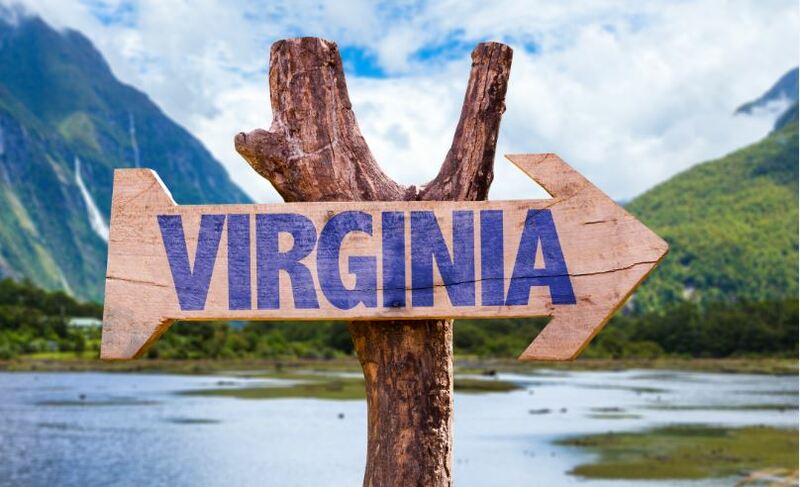 Virginia cities are often ranked as some of the happiest in the country, with Charlottesville most recently named the happiest city in America by the US National Bureau of Economic Research. And with high job prospects, nationally ranked schools and plenty to do across the state, how could Virginians not be happy?